Continuing up the San Lorenzo River we arrived at the Soquel Avenue Bridge (36C0105), which is a 4-span, cast-in-place, reinforced concrete box girder bridge. This bridge is 380 ft long with a 112 ft long main span and a 60 ft wide deck supported on pier walls. It's just the latest in a series of bridges that were built at this location. The first recorded structure was a covered bridge built in 1874. In 1890 a timber trestle was added. These bridges were replaced in 1921 with a concrete and steel girder bridge. 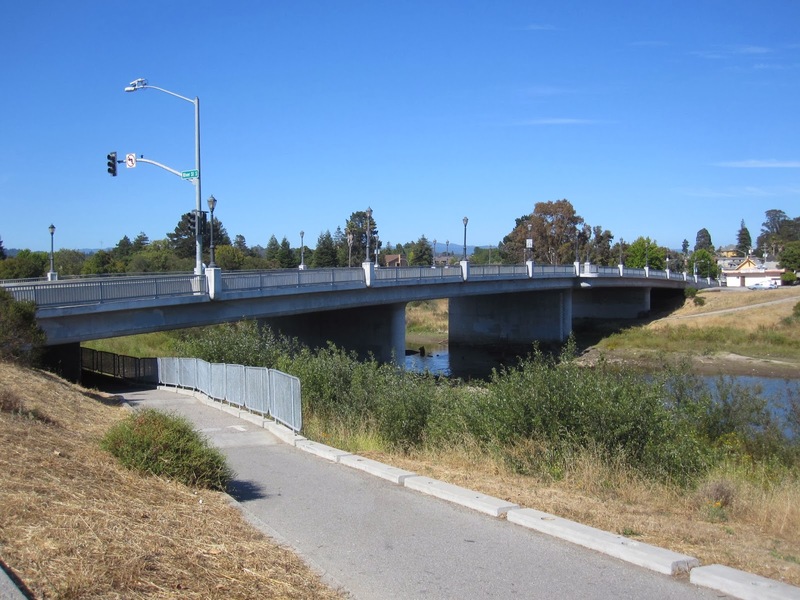 It was widened to four lanes in 1967 with a concrete precast I girder bridge on the north side. In 1982 severe flooding caused the collapse of the old southern side of the bridge. It was repaired with an I girder bridge in 1984. In 1999 the current bridge was built at this site. It seems like the late 1990s was a time for Santa Cruz to do some flood control and refurbishing of bridges. 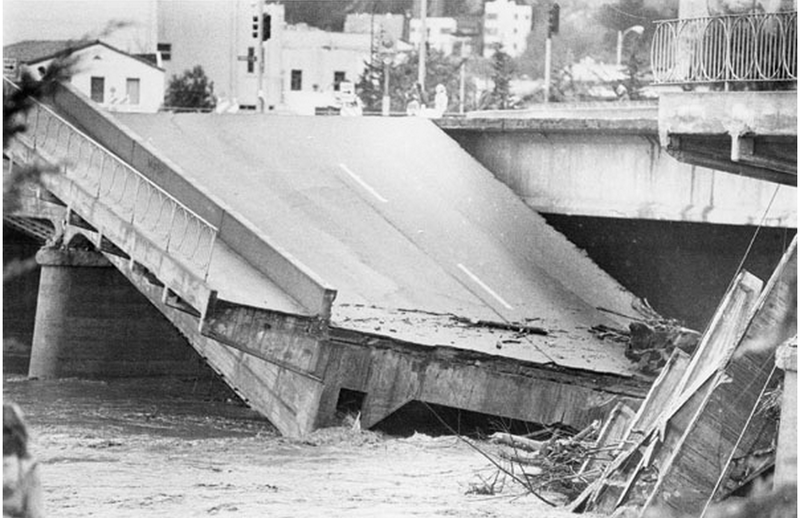 Collapsed Soquel Avenue Bridge during 1982 flood (Photo Property of Santa Cruz Public Library). Santa Cruz County, California Bridges: Soquel Avenue Bridge across the San Lorenzo River by Mark Yashinsky is licensed under a Creative Commons Attribution-NonCommercial-NoDerivatives 4.0 International License.